Posted On 31 Aug 2011 By nassau motor news. Under Chevrolet, Uncategorized. Posted On 30 Aug 2011 By nassau motor news. Under Chevrolet, Honda Bahamas, Uncategorized. “Scientists at Tulane University have discovered a new use for discarded newspapers — one that can turn yesterday’s news into the alternative fuel of tomorrow. “Their research has hit upon a bacterial strain that chomps away at the cellulose in old newsprint, turning the organic material into butanol, a bio-substitute for the gas tank. “The strain is the first bacterial microbe found in nature that produces butanol directly from cellulose, a material found in all green plants, university officials say. Posted On 29 Aug 2011 By nassau motor news. 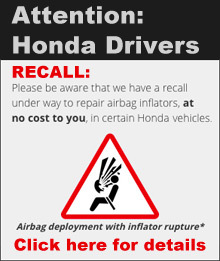 Under Honda Bahamas, Uncategorized. Posted On 28 Aug 2011 By nassau motor news. Under ACDelco, Chevrolet, Honda Bahamas, Uncategorized. We cleaned up the debris and a couple fallen trees from Hurricane Irene on Friday and we’ll be open for business as usual on Monday August 29, 2011. Hope you and yours fared okay? Posted On 24 Aug 2011 By nassau motor news. Under ACDelco, Chevrolet, Honda Bahamas, Uncategorized. We will be out of office commencing Wednesday, August 24, 2011 at 12:00pm to prepare for Hurricane Irene. We hope to return to the office Friday, August 26, 2011 weather permitting. If that’s not possible we will be back Monday, August 29, 2011. Posted On 21 Aug 2011 By nassau motor news. Under Chevrolet. 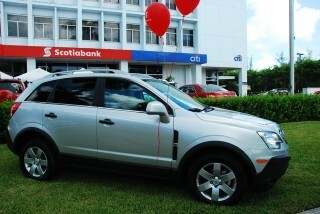 Until August 31st you can get into a 2011 Chevrolet Captiva Sport with interest as low as 2.99% through Scotiabank. 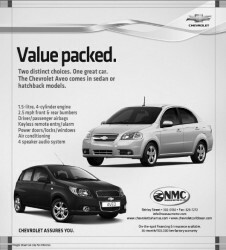 Stop in for a demonstration and test drive in this great new offering from General Motors.